Uptown Update: The March To The Arch Has Begun! The March To The Arch Has Begun! 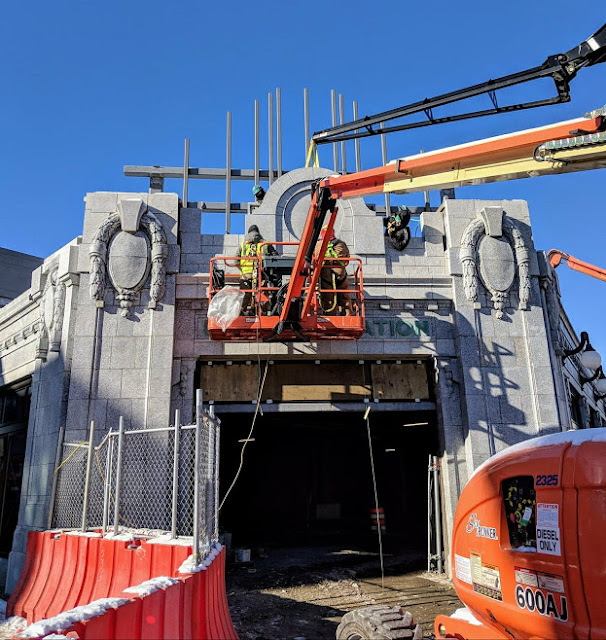 Today, workers began the assembly of the clock tower arch at the corner of Wilson and Broadway. The keystone was hoisted into place shortly after noon. There is more to come. We were told that the assembly of the entire arch will be like a jigsaw puzzle, and other pieces will be put in around it. More ornamentation and lighting will be added. See the blueprints below. 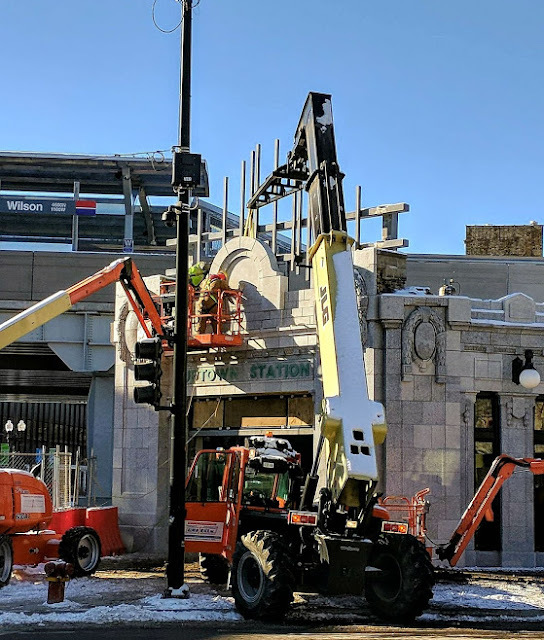 We are so happy to see this part of the station replaced, 60 years after the original arch and clock were removed. I saw that headline and thought we were getting a new McDonald's and were going to have a community march in celebration. OH well I guess the renovated station will have to do.